There’s a good chance it was a political book, according to new data released by Barnes & Noble. Their national sales numbers show political book sales increased by 57%. For a country with a reading problem, this is great news. Our republic requires a literate and thoughtful citizenry. What books have been driving the sales? James Comey’s A Higher Loyalty, Bob Woodward’s Fear: Trump in the White House, and J .D. Vance’s Hillbilly Elegy have all shot to the top of bestseller lists around the country. In fact, Bob Woodward’s profile of a Trump White House mired in chaos and turmoil sold more than one copy per second on its release day. It was the fastest-selling book for Barnes and Noble in over three years. But there’s a catch — the data indicates that folks were buying political books that reinforced their existing viewpoints instead of challenging them. 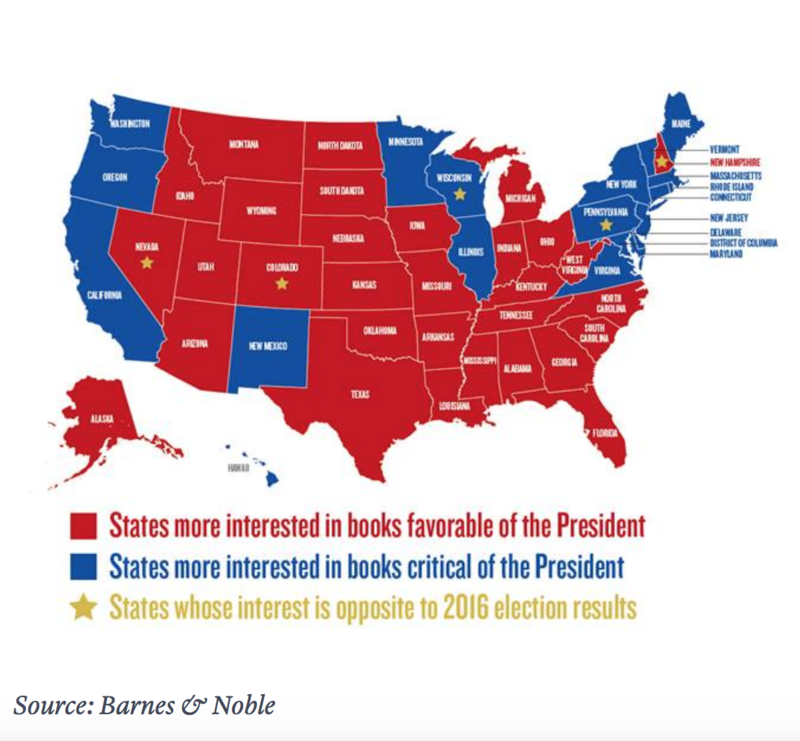 The map of Barnes & Noble’s book sales looks disturbingly like a map of presidential election results. States that voted for Hillary Clinton in 2016 tended to purchase books that cast the Trump White House or Republican Party in a critical light. Conversely, states that voted for Donald Trump in 2016 bought more books that focused on bias at the FBI or — like Gregg Jarrett’s The Russia Hoax — or the limitations on free speech at college campuses. The recently released data from Barnes and Noble highlights the increasing divide and the lack of understanding between the two parties. People are retreating more and more into echo chambers that reinforce their ideas. Challenging books can open your mind, introduce new ideas, and broaden your perspective. Confronting and understanding ideas you disagree with makes you a better informed citizen. Reading nothing but books that reinforce partisan viewpoints only furthers our political polarization. It’s more important than ever to understand each other. Here’s a challenge — read a book this year that advocates for an idea you disagree with. You might not be persuaded, but you will gain a better understanding of the criticisms others have of your beliefs and gain an appreciation for your opponents. 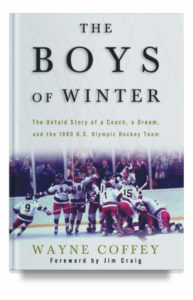 Looking for a good book to read? 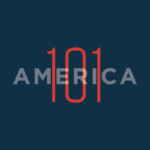 Check out these picks from our America 101 staff.